Those of you who follow me on Instagram have likely seen some of these. 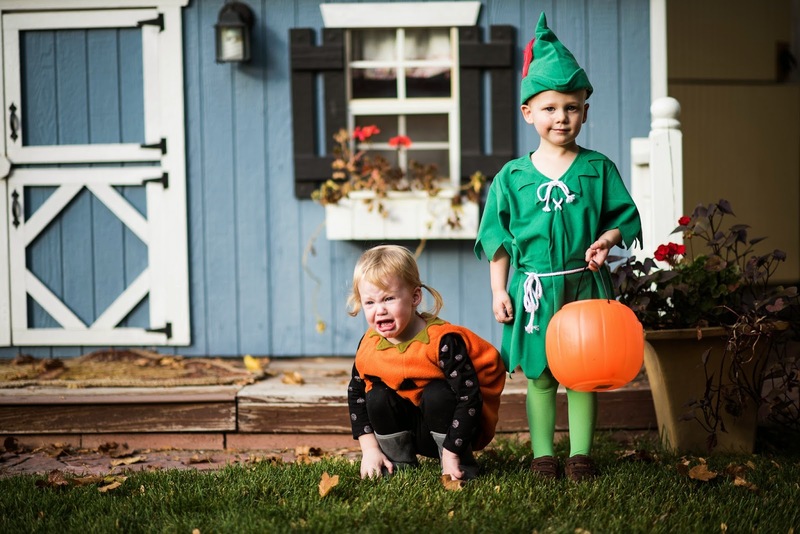 But I always post a few Halloween pics of my kiddos, so here you go. Will was Ron Weasley. 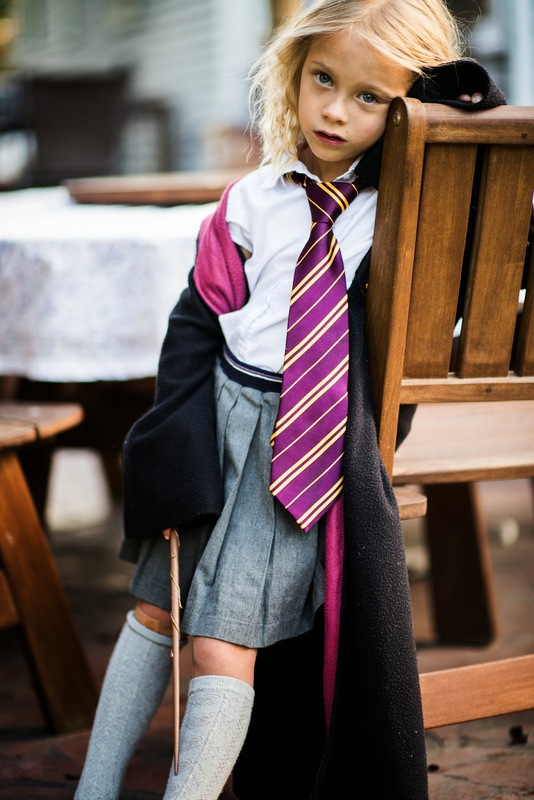 Piper was Hermione Granger. And Finny was Peter Pan. All pics courtesy of my lovely husband. With their princess, pirate, and pumpkin cousins. Poor punkin . 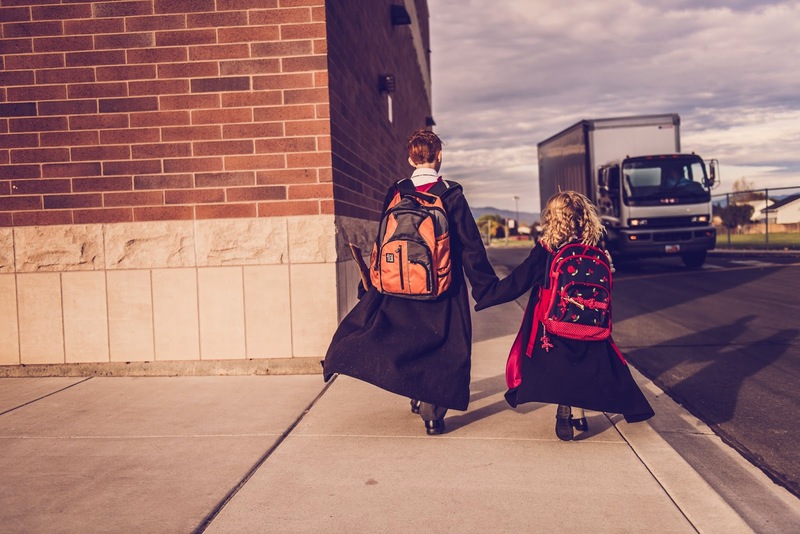 . .
My oldest two off to Defense Against the Dark Arts. So cute, as usual! And I'm very happy to see HP fans! 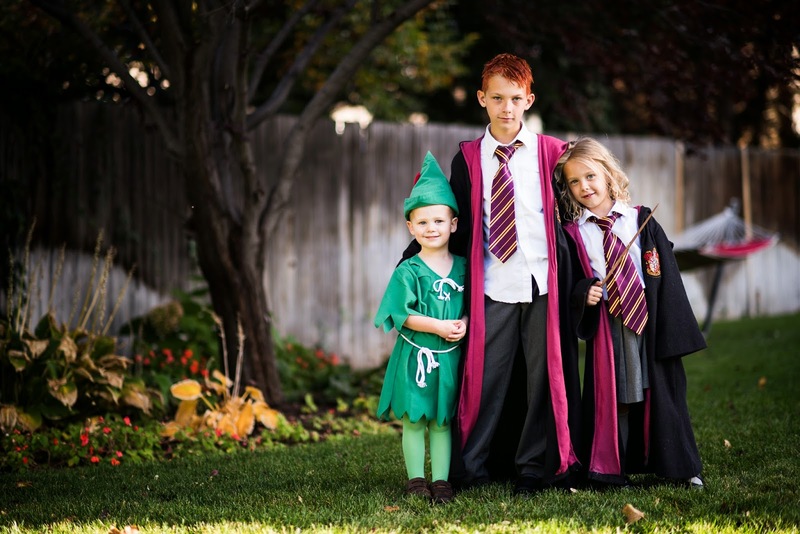 Your family always has the best costumes. I saw these on your Instagram but just wanted to add that the costumes are so perfect and they all look adorable. Your youngest as Peter Pan is soo cute. A. These pictures are awesomeeee! B. Is that a play house in the first pic? C. Your kids are suppppppppppper cute. Fabulous costumes. Amazing costumes! The final photo especially is perfect. P.S. Angie--Dreamer's Pool by Juliet Marillier. IT WAS AMAZING. I recommend reading it ASAP. 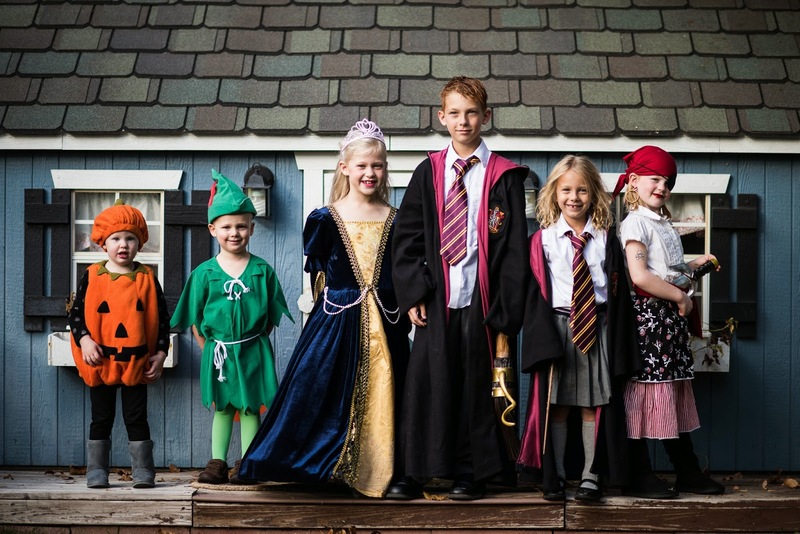 Wonderful costumes and beautiful pictures! You have a gift for photography.